He leads the MA Journalism Studies course at the University of Sheffield, as well as being Director of Postgraduate Studies. 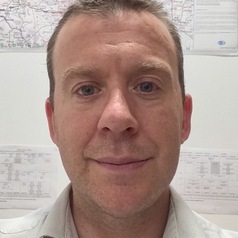 Before joining the team in September 2014, Mark was the Group Editor of 12 weekly newspapers and websites across West Yorkshire, including the Wakefield Express, Dewsbury Reporter and Halifax Courier. His journalistic background includes being a reporter for the Uxbridge Gazette in west London, a sub-editor for the Harrogate Advertiser and the Yorkshire Evening Post, and also Editor of the Halifax Courier while it was a daily title. During his decade in the hotseat in West Yorkshire, Mark was instrumental in converting newsrooms into multimedia operations, as well as the strategic development of editorial policy across print, online and social media channels. He has also overseen the development of a significant number of trainee reporters into senior journalists now based across the UK and Europe.